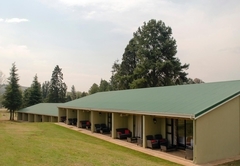 Monks Cowl Golf Resort is a highly recommended Champagne Valley hotel providing accommodation for tourists visiting the Drakensberg region. 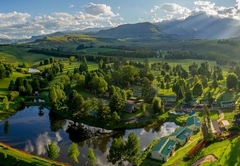 Monks Cowl Golf Resort is situated in the Central Drakensberg approximately four hours from Johannesburg and two and a half hours from Durban, in the magnificent Champagne Valley. 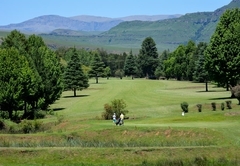 The Golf Resort is next door to Champagne Sports and Racket and adjoining the popular Cathkin Estate Development. 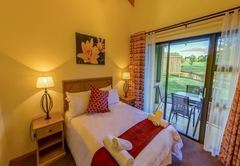 Situated on the golf course we have 18 spacious executive double rooms. 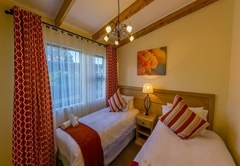 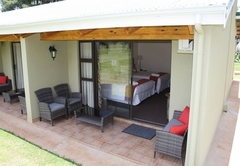 We offer a honeymoon suite with a wooden deck, four-poster bed, log fire and spa bath. 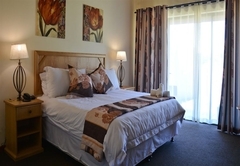 Our other standard units sleep from two to six people (four beds upstairs) All units have a full bathroom downstairs. 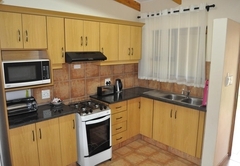 Tea and coffee making facilities are available in all the units. 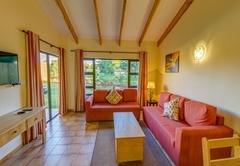 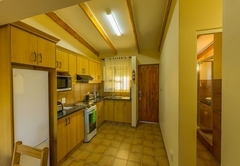 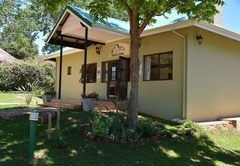 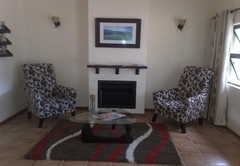 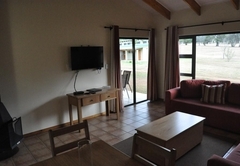 Also available are newly built self-catering units, fully equipped with a master bedroom en suite, second bedroom with twin beds and adjacent bathroom and 2 sleeper couches in the lounge, with DSTV, fireplace for those chilly winter nights and private patio with braai facilities. 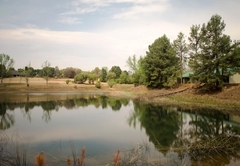 A short walk through our gardens takes you to our a’la Carte restaurant where breakfasts are served anytime between 08h00 and 11h00. 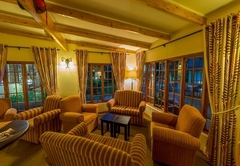 During winter a log fire adds to the coziness of our restaurant and pub. 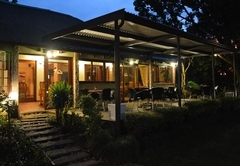 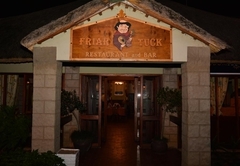 In addition to our 142-seater restaurant we have a function room, which seats 80 - 100 guests. 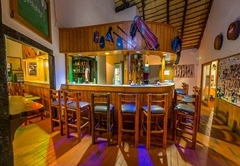 This venue has its own bar and ablutions as well as sound system and big-screen projector and is ideal for weddings, parties and conferences. 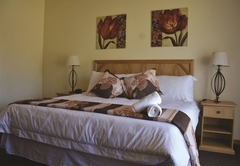 We offer resident guests free use of our swimming pool and tennis courts, plus restaurant and pub facilities in a casual, homely environment. 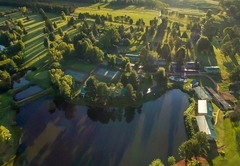 The golf course has a couple of dams and a river with a small waterfall plus swing bridge for those a little more adventurous. 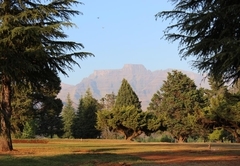 For those golfers still at “caddy” status a pleasant walk around the course may be enjoyed. 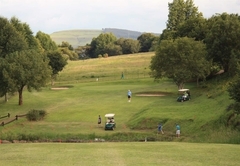 Alternatively motorised golf cars are available. 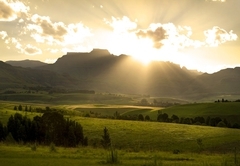 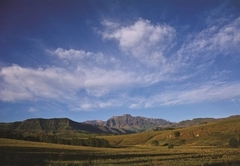 The best walks and hiking trails in the foothills of the Drakensberg are only a ten-minute drive from here. 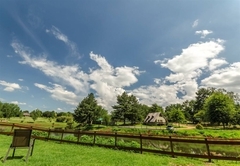 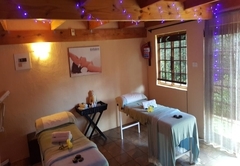 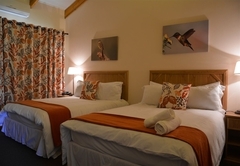 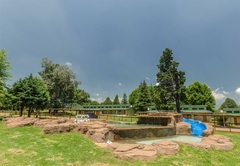 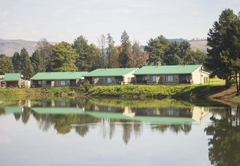 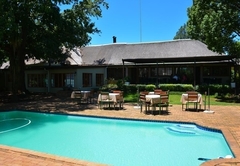 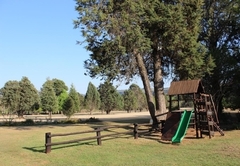 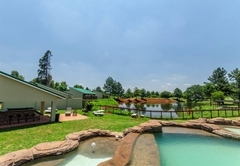 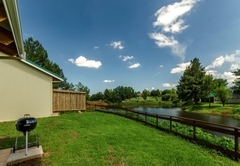 Facilities within a 15 kilometer radius include horse riding, paintball, trout fishing, river rafting, quad biking and bowling green’s as well as a bird of prey display center and the world renowned Drakensberg Boys Choir. 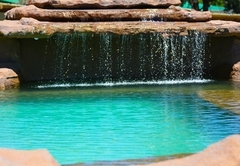 Response timeMonks Cowl Golf Resort typically responds to requests in 5-10 minutes.